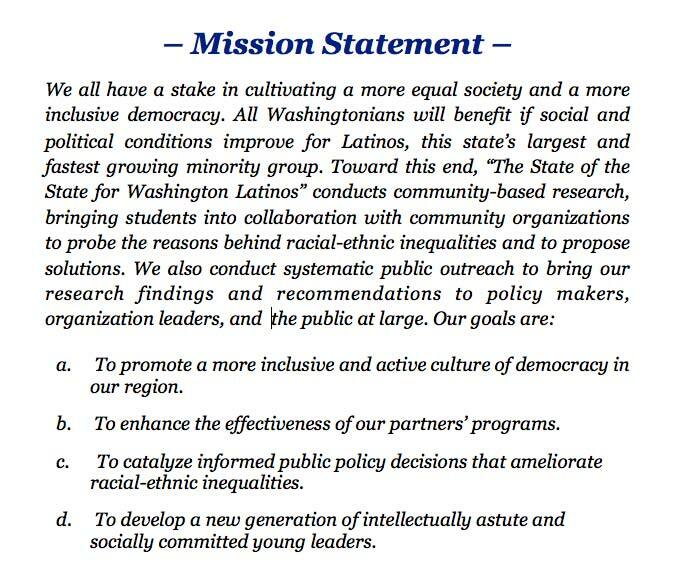 I researched the impact of Washington State’s regressive tax structure in Washington on minority communities. Does the tax structure affect Latinos and whether or not they can access the Earned Income Tax Credit (EITC), a credit designed to bolster the resources of low-income families? Finally, I asked whether or not a state EITC, called the Working Families’ Credit (WFC), will be beneficial for Latinos. Methods: Prior scholarship suggests that Latinos are both economically disadvantaged and unlikely to claim the EITC. My research connects these two themes, providing an analysis of how Latinos’ interactions with the tax structure affect their economic circumstances. I conducted 51 surveys targeting low-income Latinos to discern their knowledge of the EITC. I performed four interviews with low-income Latinos in Walla Walla to gain a more detailed understanding of the factors contributing to economic inequality. I conducted four more interviews with tax preparers and other tax experts to obtain specific information regarding how Latinos are affected by Washington’s tax structure. Latinos in Washington are disproportionately unlikely to be aware of the EITC. The EITC’s eligibility requirements disproportionately disqualify Latinos from claiming the EITC. Latinos are more likely to be civically involved if they have families and if they have permanent residency, among other potential factors. Change the tax structure in Washington so that it is less regressive. Fund the WFC as this has potential to help people out of poverty. Specifically target Latinos for outreach of the EITC. Community Partner: Ben Secord, Washington Tax Fairness Coalition.